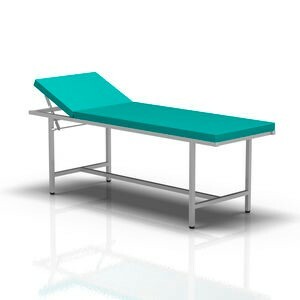 Examination tables are always in need of good support. For a rubber bumper that will last as long as your products, consult Budwig’s comprehensive product catalog. Our rubber feet are injection-molded with a proprietary blend of thermoplastic that reinforces each piece with non-marking qualities and excellent shock-resistance. Due to the constant fluctuations of weight on a table at any given time, Budwig’s Made-In-USA are a perfect option for those wanting durable rubber bumpers. Molded from “Thermoplastic Rubber” Budwig recessed bumpers provide good traction and excellent shock absorbing qualities; unlike natural rubber they have good non-marking qualities and outstanding resistance to stress cracking. A Trivalent Chromate plated steel Support Bushing (S/B) absorbs the total fastener load allowing the foot to be mounted using a variety of screws or rivets without causing distortion to the foot itself. Our product quality is matched by our around-the-clock support to answer your questions and concerns.